As a small city state with fewer than six million people and no natural resources to rely on, Singapore needs differentiation to prosper in the global economy. This, combined with a need to be efficient with its limited resources and space, has put digital technology high on the government agenda. Since its independence in 1965, the nation has focused on specific industries. Initially, it used its strategic position in the world to develop as a sea hub, which is now the world’s second busiest. It then turned to higher value manufacturing before focusing on services, especially those in the finance sector. The nation has now put foundations in place to become a major user and supplier of digital services. The recent merger of two government departments, to form the Info-communications Media Development Authority (IMDA) of Singapore, is the launchpad for the next phase of the city state’s Infocomm Media 2025 vision. The IMDA is the result of a merger between the previously Media Development Autority (MDA) and the Info-communications Development Authority of Singapore (IDA). The restructure reflects the blurring of lines between IT and media. The Singaporean government hopes the organisation will help businesses, workers and the local community ride the current global transformation wave, where digital technology is being adopted by consumers, governments and businesses. In a separate but intrinsic announcement, the Singapore government has announced GovTech, a new department focusing on government IT that will attempt to transform the delivery of public services by creating citizen-friendly digital government services and managing the government’s IT infrastructure. Both this and the IMDA support Singapore’s ambitions to become a smart nation. By coordinating citizens, business and government, the IMDA will help design an education system to ensure Singapore prospers in a digital economy, create legislation that is fit for a digital world, and work with organisations to help them use digital technologies to overcome their challenges. For example, the IMDA will instigate and coordinate digital pilots in vertical sectors and take the initial risks involved with investing in pilot projects. Once concepts are proven, organisations across sectors can benefit from these technologies and methods without the up-front risks. According to the Singapore Ministry of Communications and Information, the Infocomm Media 2025 vision will see Singapore become “a place where infocomm media enables a better quality of life for our people through world-class connectivity, compelling local content, and technologies to make everyday lives smoother and more convenient”. It also has plans for the nation to be a “living lab” for entrepreneurs, growth companies and multinationals in the infocomm media space to allow them to experiment and innovate to contribute to economic growth. In economic and social transformation, the IMDA will look at potential applications of information and communications (infocomm) media in areas such as health, education, community and social services, as well transport, financial services, logistics, manufacturing and e-commerce. It will reskill the Singaporean workforce for high-value infocomm media jobs. Speaking at the launch of the organisation, IMDA’s CEO Gabriel Lim said the organisation was spurred on by the convergence of infocomm and media. “[The IMDA] will shepherd and lead Singapore in a future where there will be far more convergence, technology will be far more pervasive, and digital disruption and digital transformation will fundamentally change the way we work,” he said. For communities, he said the IMDA would try to prevent a digital divide where parts of the community get left behind. “Everyone, including vulnerable groups and low-income households, must be part of this journey,” he said. The IMDA is running projects through its labs to help local organisations overcome operational challenges with technology. It takes on the cost of testing concepts to remove the burden of risk from the organisations that might ultimately benefit. 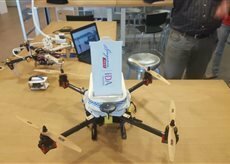 One example is how the IMDA lab tested an idea to use drones to deliver mail to a remote island off Singapore. With the island’s postman of 40 years about to retire, the IMDA supported Singapore Post in piloting drones (example pictured below) to deliver letters and parcels to the inhabitants of Pulau Ubin Island. This would replace the need for a boat crossing. “Most of Singapore is densely packed, but we also have a remote community offshore. We wanted to see how we could make efficient deliveries to the island. We piloted the use of drones because the fact we were helping brought the risk of the experiment down. We proved the concept, so the postal service could look at how to scale it up for commercial purposes,” said Angeline Poh, assistant CEO, at IMDA. Another project sees the IMDA work with technology firms to find ways of improving logistics. The urban logistics project will enable deliveries to shopping malls to be better coordinated through digital platforms, reducing congestion, costs, waiting times and emissions while speeding up deliveries. The project is being run at Singapore’s Bedok and Tampines Malls, and will be expanded when complete. For example, the IMDA is working with IT firm Gursoft to develop systems for scheduling deliveries and managing queues. It’s also working with Ascent Solutions to create electronic locks for delivery units to secure and track deliveries. 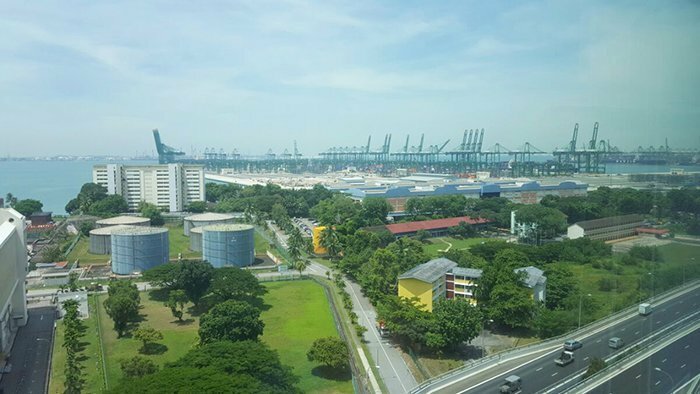 The IMDA is also running 30 projects across Singapore to use smart technology such as analytics, sensors and predictive maintenance in facilities management. This is to address a shortage of workers in the security, cleaning, landscaping and facilities management sectors. Other programmes being run with IMDA support include the use of virtual reality in the healthcare sector to train surgeons, for example, as well as allowing schoolchildren to experience things from their classrooms using virtual reality. Without the IMDA managing these projects, this level of collaboration would not be possible due to the higher risk it would pose to individual organisations. Tan Kah Chye, board member of Singapore-based financial services firm Tin Hill Capital, said one of IMDA’s strengths is its ability to engage different economic sectors to apply contemporary technologies to solve real-world problems. “I was fortunate enough to see how the IMDA engaged the finance sector to explore the use of blockchain technology some years ago, despite few in the finance sector having heard of blockchain. Today, Singapore has spearheaded different blockchain-related proof of concepts to digitise trade, and such innovations are capable of having a large impact on the way domestic and cross-border trades are conducted,” said Tan. “The proof of concept exercises were a huge success because IMDA was there to provide technology domain expertise and work in conjunction with sector experts provided by the Monetary Authority of Singapore. It was clear from the start the proof of concepts had to be commercially oriented. As such, the participating banks were encouraged to apply the blockchain technology to solve real-world problems and focus on solutions that can be commercially viable in the marketplace,” he added. Singapore government aims to make the tiny Asean city state a centre for the development of smart city and internet of things (IoT) technology, and wants to bring UK startups to its shores. The Singapore government minister running the city state’s smart nation project tells the world about the country’s smart nation vision. Asean’s two biggest economies are looking for IT partners beyond their shores to support their smart city initiatives – and some UK-based firms have been given a grand tour. Singapore is the Asean smart city project that stands out, but Thai and Malaysian initiatives are also gaining credit, according to an IDC study. “I believe Singapore is seen as an innovative global city because of its ability to harness the best of what technology can provide, whereby IMDA is always working in close partnership with sector experts from different government organs,” said Tan. Large multinational organisations can also benefit. Shirish Wadivkar, global head of payables, receivables and flow foreign exchange at Standard Chartered Bank in Singapore, said the company had received valuable support from the IMDA. “As the progeny of two very progressive agencies – the IDA and MCI, both of which took on the roles of industry developer and regulator in Singapore, as well its new inclusive mission – the IMDA stands out,” said Wadivkar. “IMDA’s parent agencies actively played the role of catalyst to seed innovation in Singapore in the past. We, at Standard Chartered Bank, have been direct beneficiaries. Jointly with another bank and IDA, we created the world’s first application of distributed ledger technology to trade finance,” he added. The IMDA also plays a critical role in schools. Part of its remit includes developing a workforce for the future at an early age. Singapore’s newest healthcare cluster was designed with IT at its core – a strategy which has seen the 700-bed Ng Teng Fong General Hospital (NTFGH) recognised for its high standards of data use. Singapore outlines its strategy to use electronic payments to improve things for businesses and consumers. Banks in Singapore risk losing customers if they fail to keep pace with the digital preferences of the affluent middle class. DBS Bank in Singapore is using Amazon Web Services (AWS) cloud technology to support its push towards the faster delivery of new applications. He described seeing children in pushchairs in the US and Europe with iPads on a special mount in front of them to keep them entertained. “I think this is scary because the iPad is being used to keep the child quiet,” he said. The IMDA encourages the use of what he described as tech toys. These include Circuit Stickers, which are circuit boards that use magnets instead of soldering, and the Bee Bot robot, which you can make move to a certain point, teaching sequencing through pressing buttons in an order before setting it off. 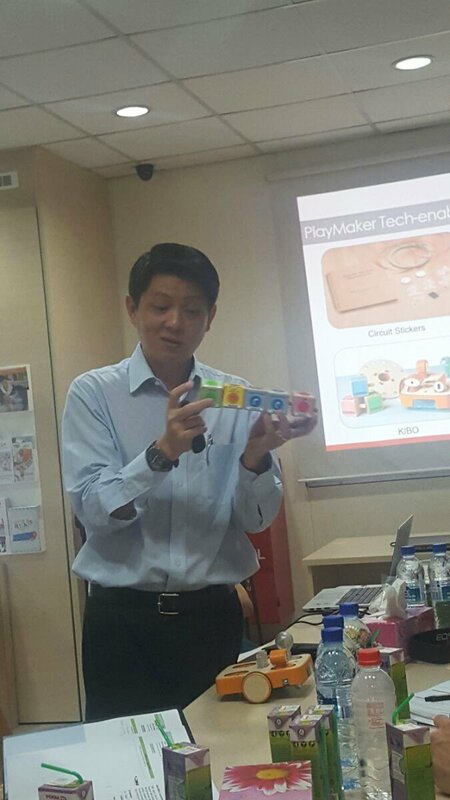 Lim also demonstrated the Kibo robot, which can be controlled using block programing. “There are no screens and these tools are age and development appropriate,” he said. The IMDA has 160 pre-schools on the programme. Teachers were trained to use the equipment and there is tech support on-site. “Tech is the easy part, but getting the teachers to use it meaningfully is challenging,” said Lim. Beyond pre-school, the IMDA is involved with various educational programmes and provides guidence for schools that focus on infocomm and media. Programmes such as Code@SG Movement and Code for Fun offer primary and secondary school students exposure to coding and computational thinking. The IMDA also provides direct guidance and support to schools that choose to focus on computing on top of the core subjects all schools do. One of these schools is Clementi Town Secondary School in Singapore, which has about 1,000 students aged between 13 and 17. Helen Tan-Lee, the school principal, said all schools in Singapore have to do core subjects, known as Learning for Life, but also choose an applied learning programme, which is individual to the school. Clementi, with support from the IMDA, has chosen computing. “After looking at our profile, we have chosen our applied learning programme to be related to computing and coding,” said Tan-Lee. “We want to give all our students a basic foundation in what coding and computing is. We want to expose them to what’s out there in computer science and hopefully ignite their interest in the process. Hopefully some of them will consider it a field they can grow in,” she added. The school is conscious that technology moves fast. “What is relevant today may not be relevant in two years’ time, therefore the programme will encourage a disposition in students to always want to learn new things, explore and be open,” said Tan-Lee. The IMDA also has mobile labs that visit schools to introduce them to technology. It holds workshops at schools for about a week at a time in attempt to get students to create technology rather than just consume it. Singapore government launches agency to help the country’s organisations and citizens make the most of digital technology. Singapore government merges ICT and media agencies in recognition of their overlapping responsibilities.